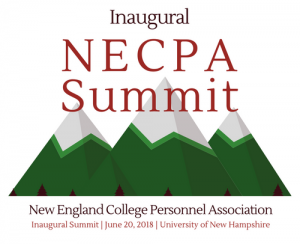 Thank you for your interest in submitting a proposal for the NECPA Summit to be held at University of New Hampshire in Durham, NH on June 20, 2018! Our afternoon program will consist of three 50-minute blocks within two tracks – one for graduate students and new professionals; one for mid-and-senior level professionals – exploring generationality within higher education. Please submit proposals using the form at https://goo.gl/forms/X3tvuziaa5diUeWj1. The call for programs is still open. Programs will be reviewed on a rolling basis.